There’s a huge need for a shopping cart recovery plugin among eCommerce owners. Given that the average online shopping cart is abandoned at a rate of over 68%, these plugins help to provide analytics and tools to prevent cart abandonment. The plugins help you to know where your customers arrive from and what part of your website is causing them to go away before making a purchase. There are literally hundreds of cart recovery plugins available. However, here are ten of the best ones to help your eCommerce website be more effective in dealing with shopping cart abandonment. This cart abandonment plugin costs $29.99 each month with an added 5% of recovered sales. That said, it gives you a reliable tracking system to help chase up on abandoned carts. It can also help to recover revenue from many websites at the same time. There’s only one monthly fee to pay across many shops. Emails sent to customers can also be customized to provide names and emails. Based on the pricing, it could be inconvenient for both high-volume and low-volume vendors. MoonMail is used with only Shopify which can be inconvenient. In its defence, it is quite easy to install, it is affordable and provides most of the necessary abandoned cart email tools in one place. MoonMail is quite easy to set up, it provides five email templates to use to contact abandoned customers and can provide different templates for different countries. There’s a free plan that allows you control when emails are sent out. It also shows you products and elements with tags. 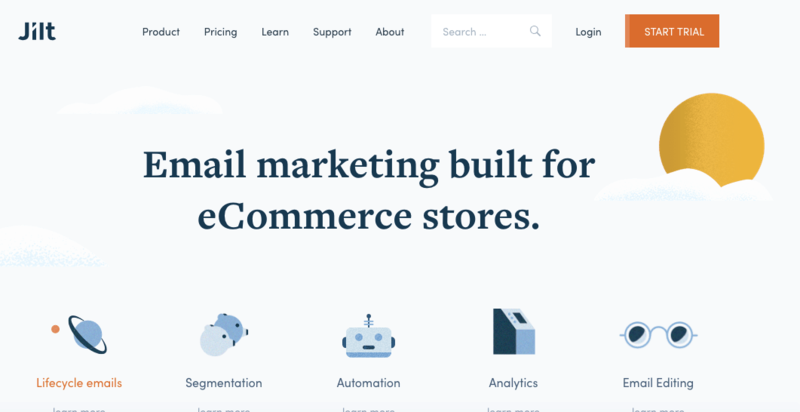 This free plugin helps you to send emails to customers who do not complete their checkout process. The plugin also saves everything in the cart and when the user wants to continue the transaction, it puts all the contents back so that the customer can continue their order. The plugin also has a dashboard that lets you see how many abandoned carts your shop has and how many recoveries were made. For more features, there is a premium version that allows customized reports and other cart abandonment recovery tools. This plugin offers an easy way to recover an abandoned shopping cart in one click. It saves the information contained in the cart and the value so that once the user wants to get back, there’s little to do. 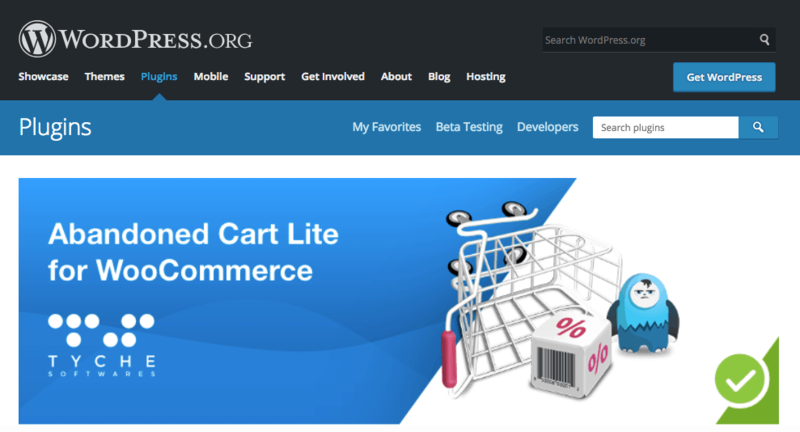 One benefit of the Abandoned cart Lite for WooCommerce is that it functions in the background and once a customer registers an email to a guest cart, it can also be recovered. This allows a store owner to recover shopping carts from unregistered customers. 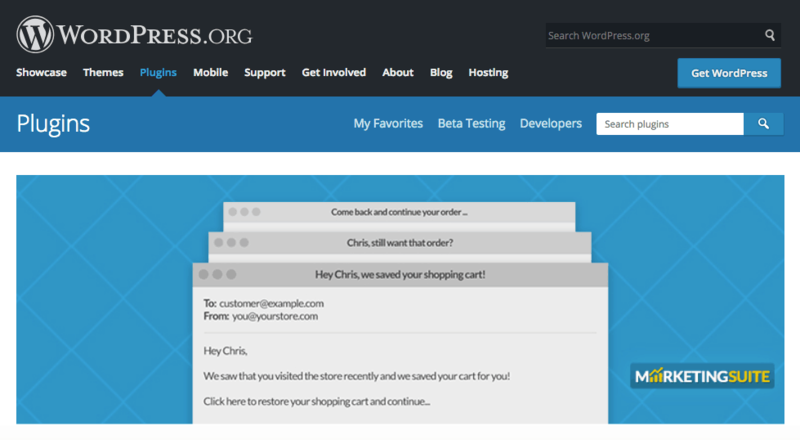 The plugin also lets the store owner get an email once an order is successfully recovered. Here is a WooCommerce extension that is capable of providing real-time customer cart reports and figures for any online shop. It tracks both open and abandoned carts, providing detailed tracking reports and a dashboard where you can quickly monitor activities. The dashboard metrics can easily be filtered to show opened, abandoned or converted carts via different parameters such as cart status, order value and others. This plugin works with pretty much all eCommerce platforms and can be used on a performance or recovery basis. This means that you only pay between 1.2% and 5% of recovered revenue for using the plugin. It provides A/B testing to give you some insight into why people may be abandoning their carts. It also displays the cart items in the emails that it sends out to the customers. AbandonAid is a bit technical and may require some coding before it works on most platforms. 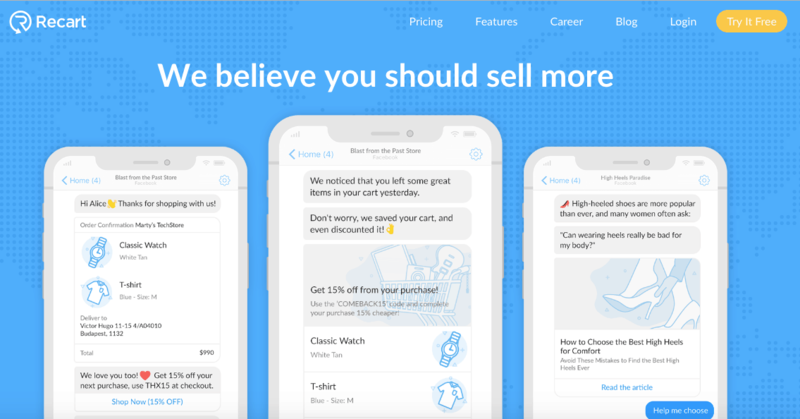 Recart for Shopify helps to create automated Facebook Messenger remarketing campaigns to customers that have abandoned their carts. It can be used to generate discount codes, order receipt notifications and also shopping cart follow-up messages. Recart can be used to run email marketing campaigns, push notification and SMS alerts when a shopping cart has been abandoned. This allows shop owners to be able to react quickly to cart abandonment issues. This plugin is one of the most useful when it comes to re-targeting customers and motivating them to complete their orders. It uses an Exit-intent Technology to convert abandoning visitors to paying customers or solid leads at least. Optimonk can be used to generate coupons and reminder emails, show exclusive products to customers and also display custom popup offers on any shopping platform based on what the storeowner wants to achieve. There are many plans that help to increase your store revenue, starting from $29 every month. This plugin used to be known as Receiptful. It provides you with the tools to engage abandoned cart carriage, targeted discount offers and much more. It offers a wider range of remarketing tools that can even be used based on location gadgets. Conversio maintains a comprehensive, easy-to-use dashboard that can be used to create email advertising and catchy online adverts to help customers complete their orders. Dealing with cart abandonment has so many benefits that will help boost revenue and improve conversion rate. Now you know the best solutions to your cart problem. 8 Response to "10 WooCommerce Cart Recovery Plugins"
Amazing how you have info on all of them, this way I won’t have to go to their site one by one to see what they offer. I love this article, very helpful. I would definitely share this to my employees, very helpful. Your blog is definitely part of my top 5! Amazing indeed! This is a well researched list of the best plugins.